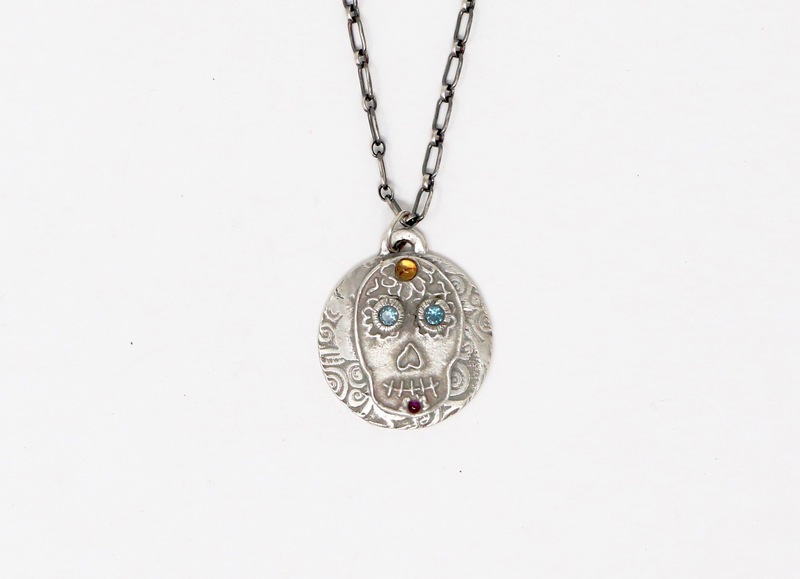 Pendant handmade in sterling silver of sugar skull with lab blue spinels for eyes, lab citrine on forehead, and lab ruby on its chin. 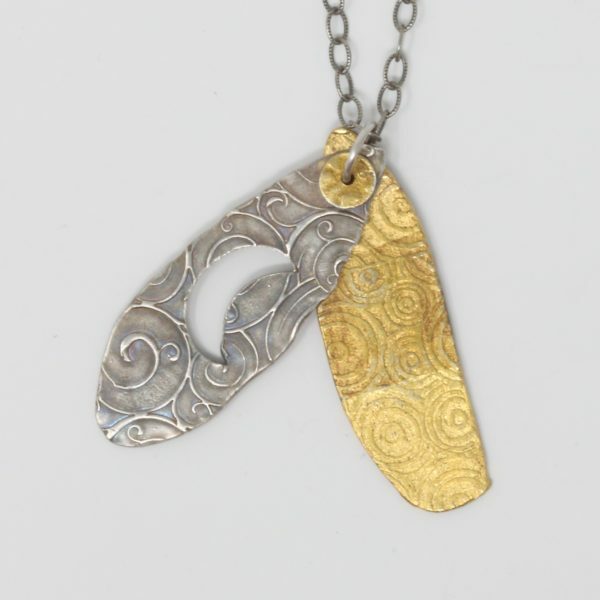 All surfaces are richly textured. 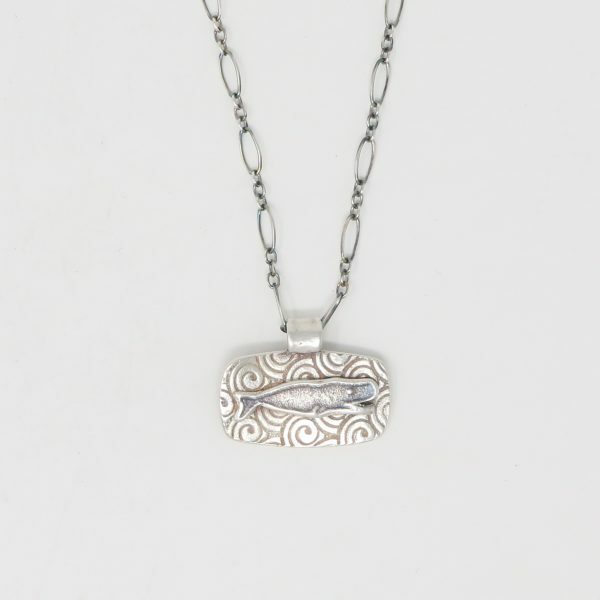 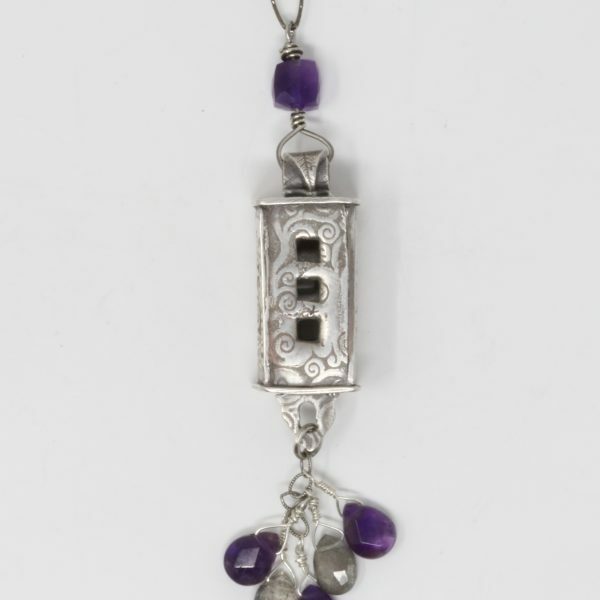 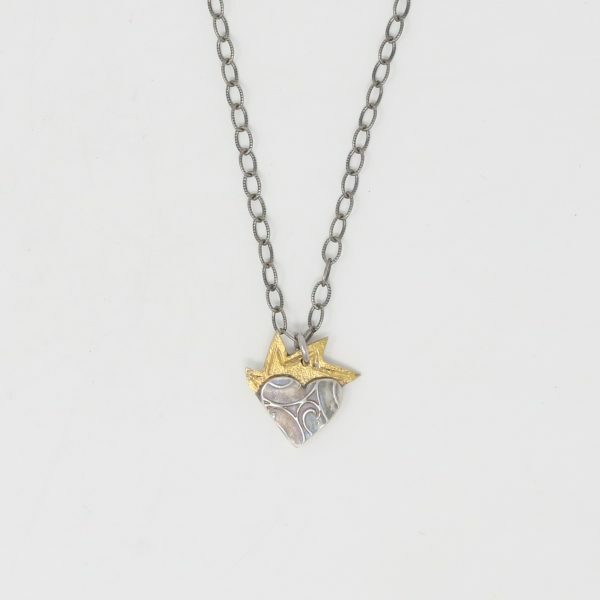 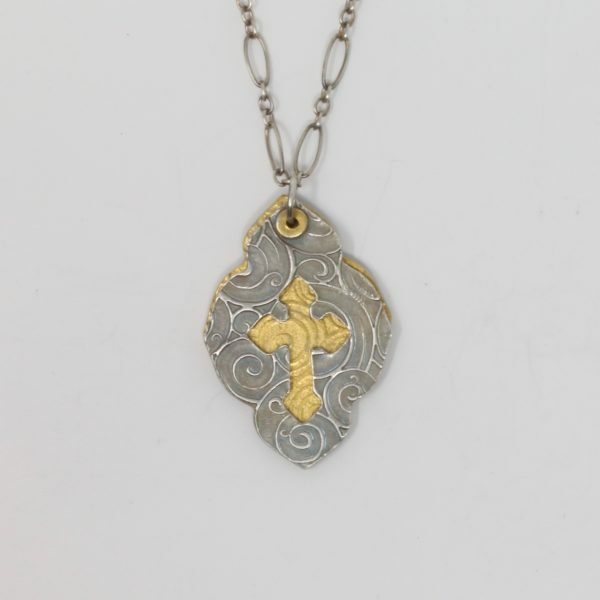 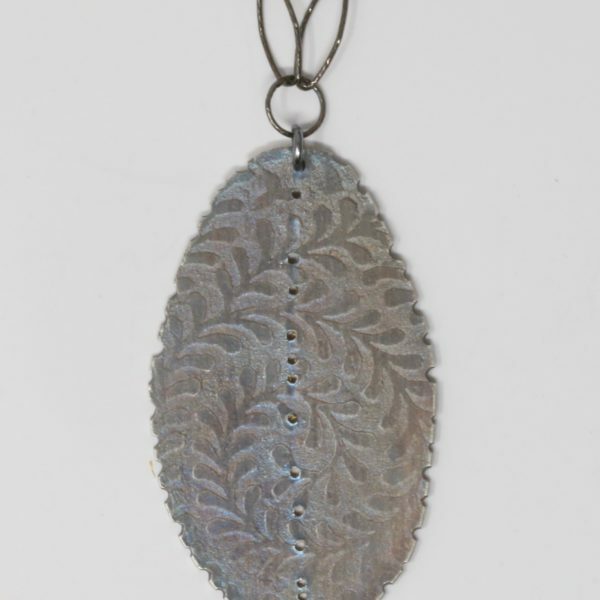 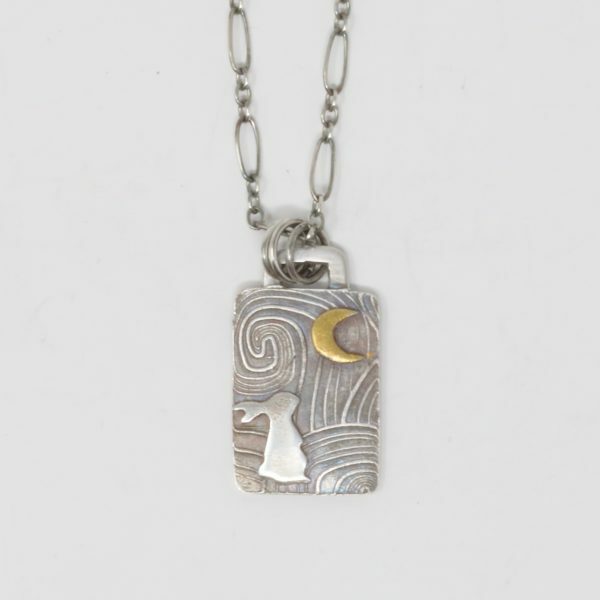 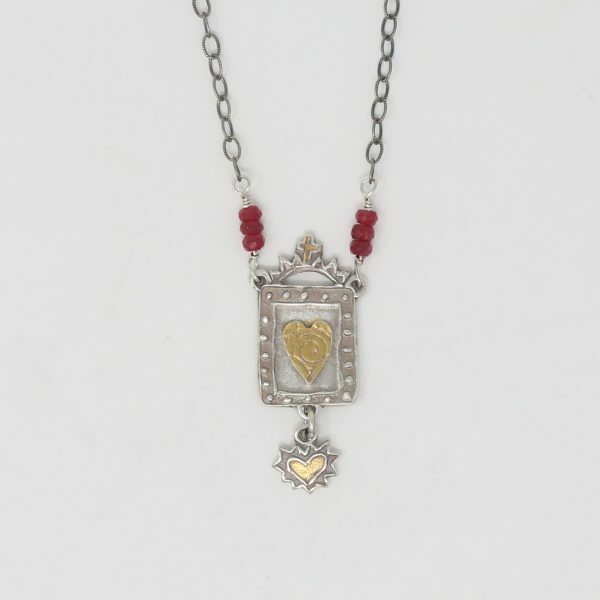 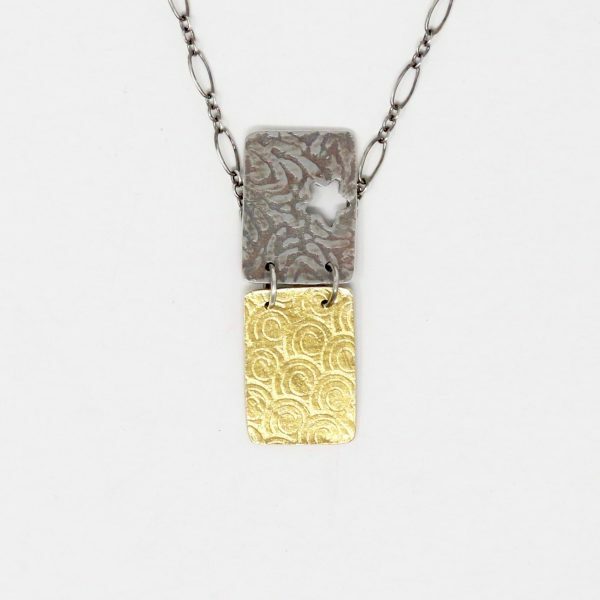 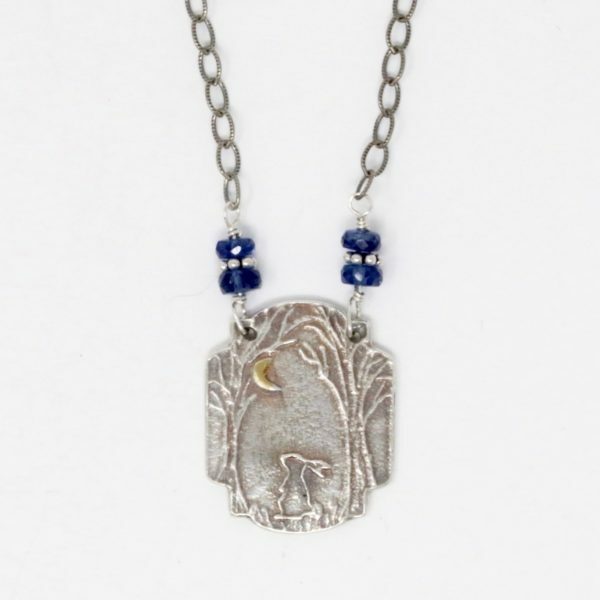 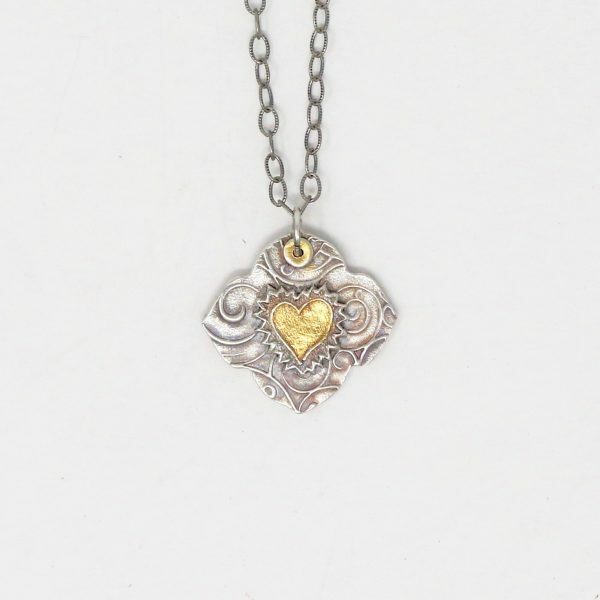 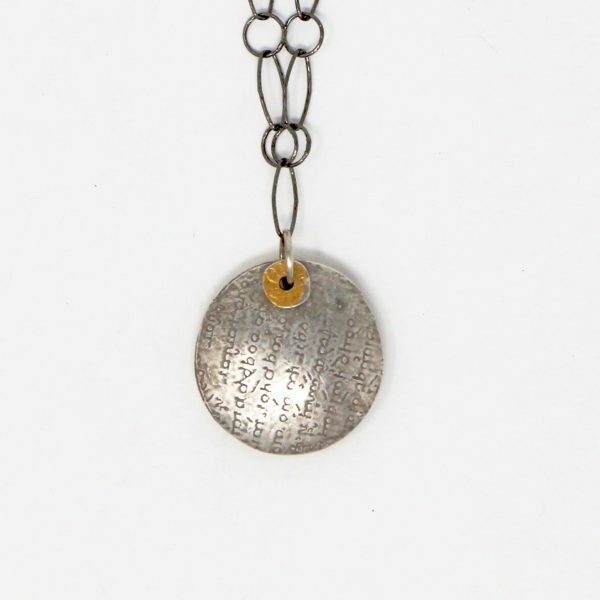 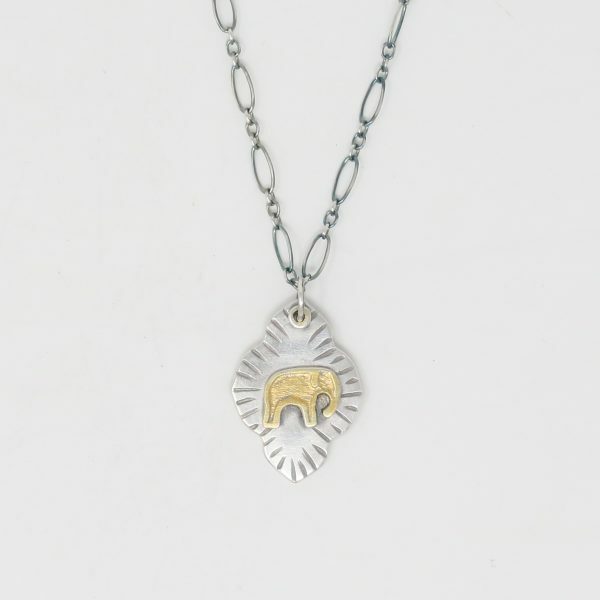 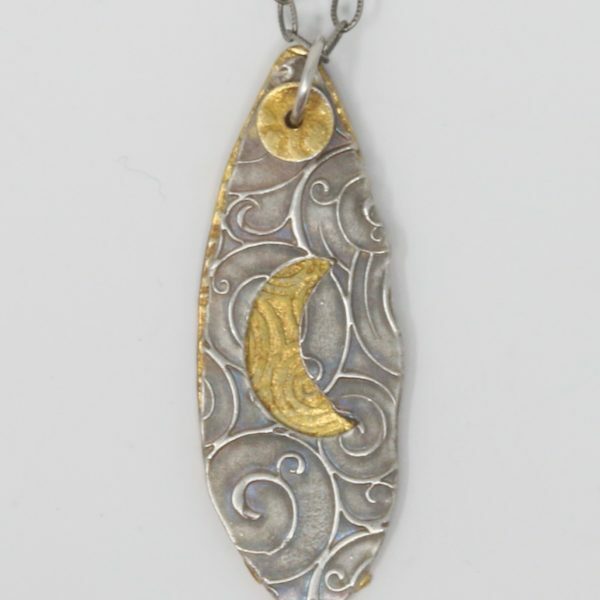 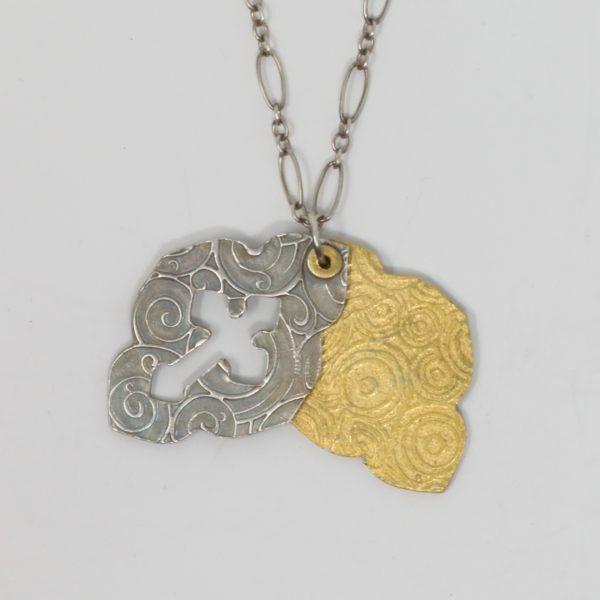 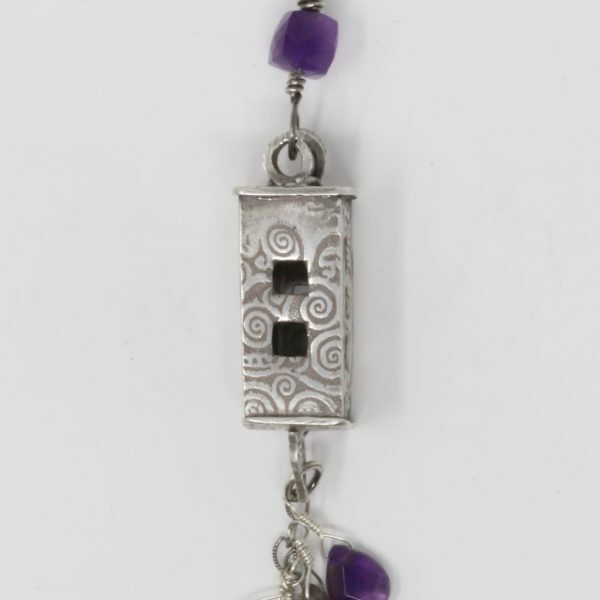 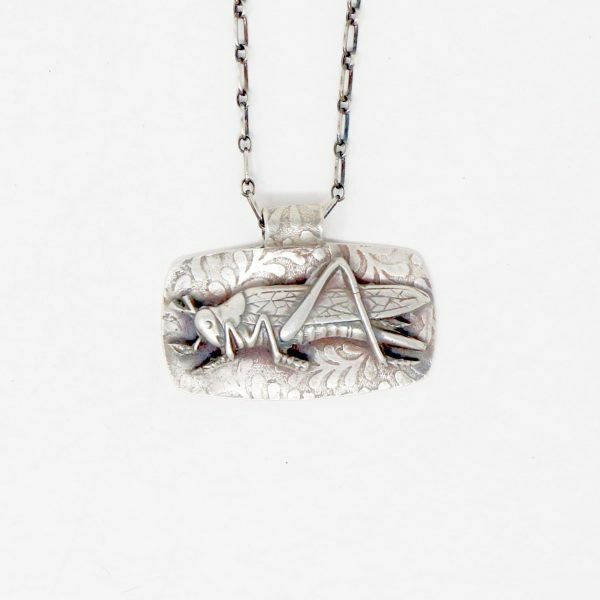 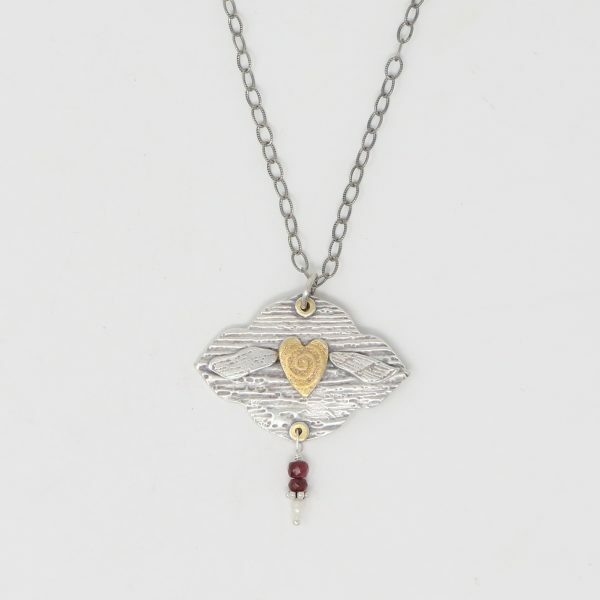 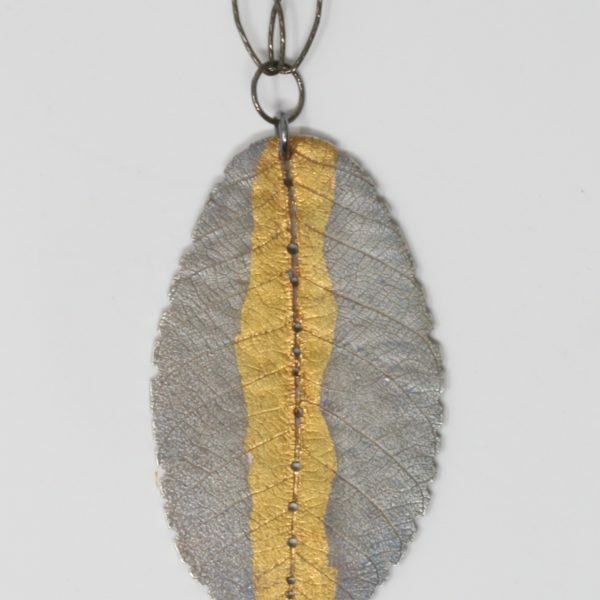 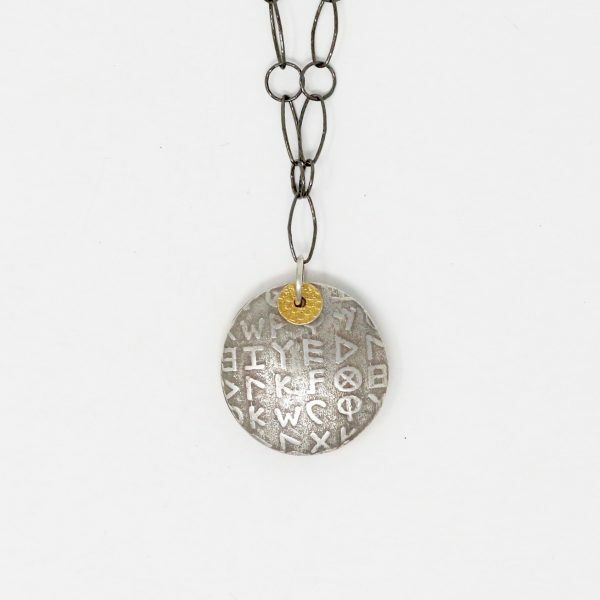 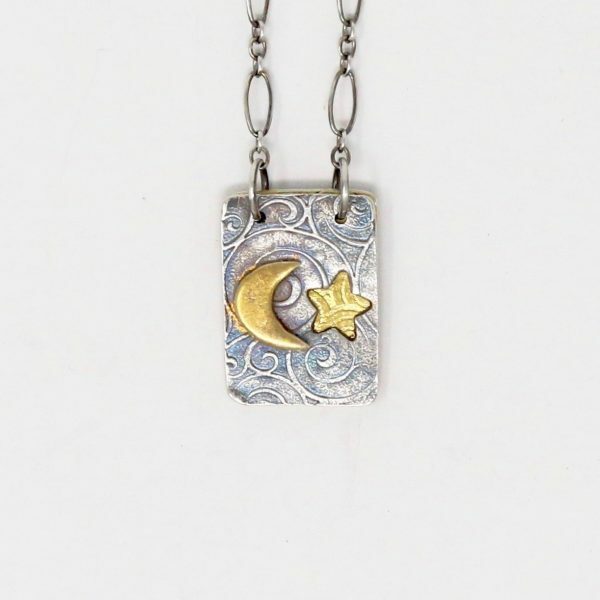 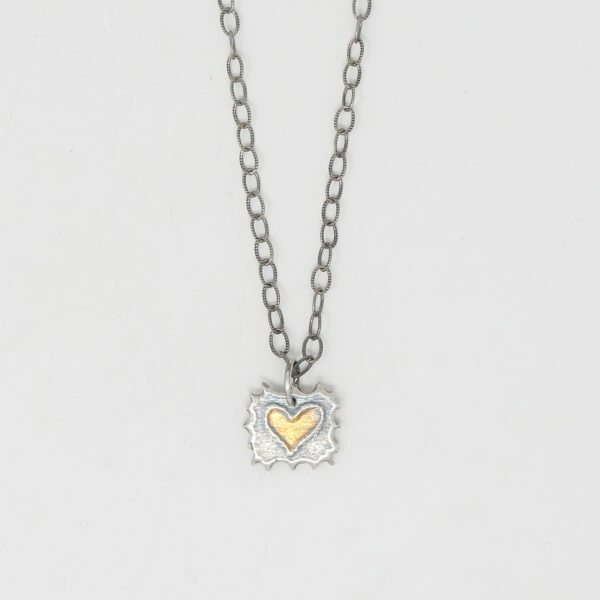 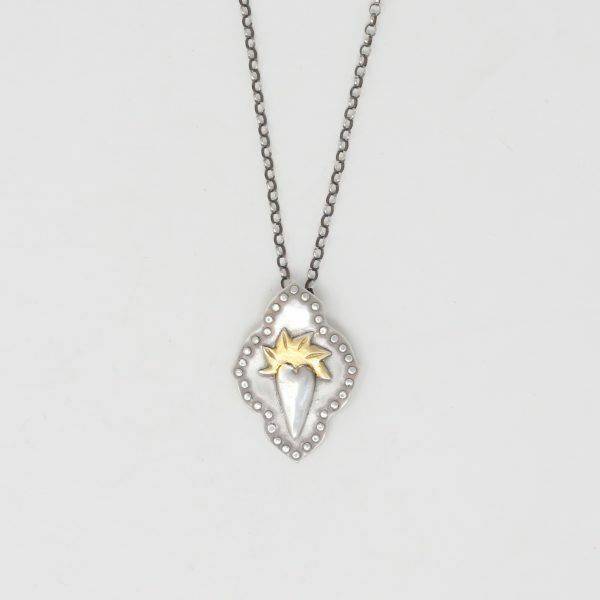 Pendant is suspended from sterling silver chain, clasp, and findings. 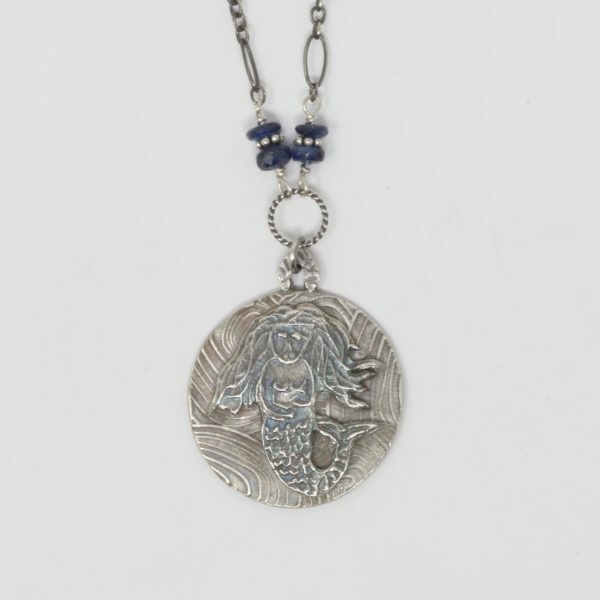 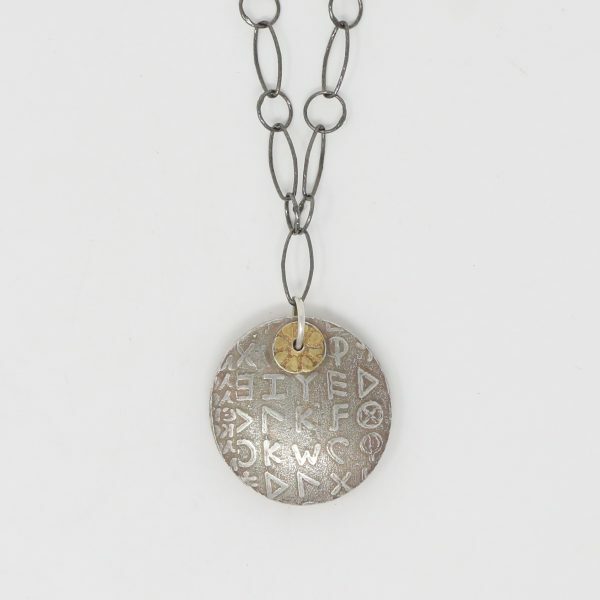 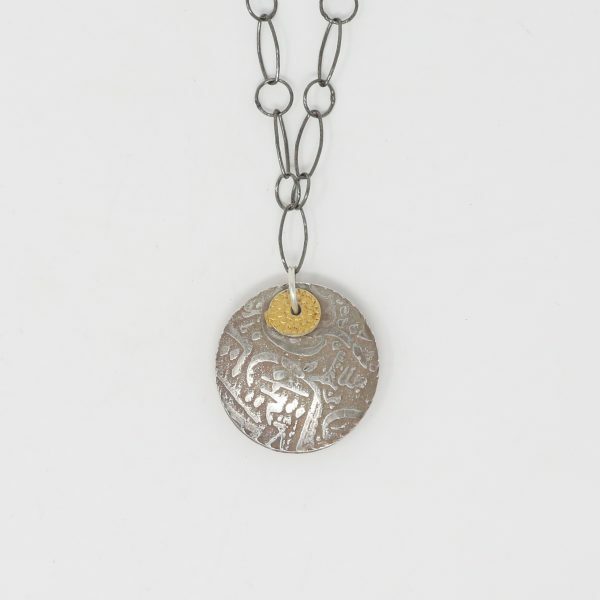 Pendant is 1″ in diameter. 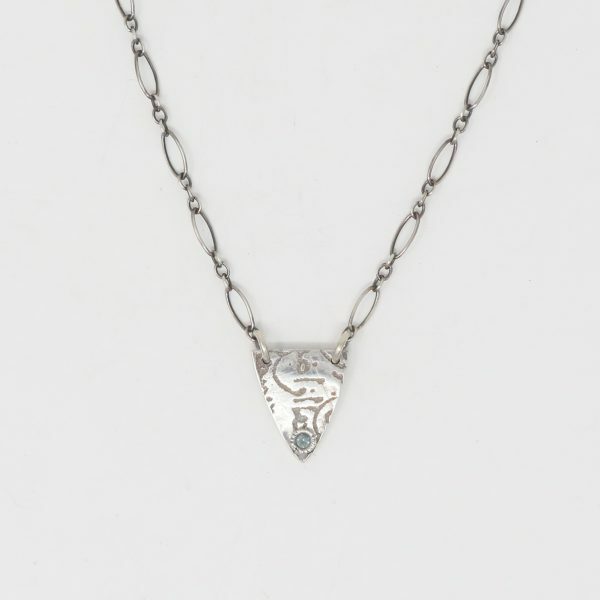 Total length of necklace is 18″.